We believe that every home is capable of being a dream home. At Castle Glass we believe that glass & mirror add chic sophistication to any room design. 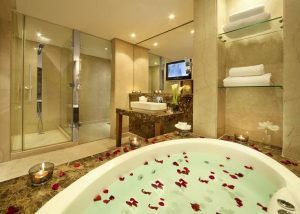 And we are experts at creating the unique style our customers desire. Welcome! 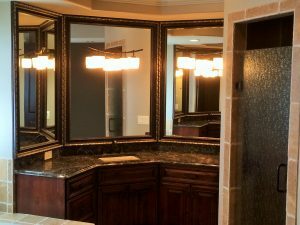 With over 50 years experience, we have satisfied the glass and mirror needs of countless custom home builders, contractors, designers, architects and homeowners throughout the area. Our goal is to provide our customers with the highest quality glass and hardware available along with beautiful craftsmanship, yet maintaining competitive pricing. Castle Glass services the Omaha, Council Bluffs and Lincoln metro area and surrounding communities. The elegance of a frameless shower is in the minimalism of its design. 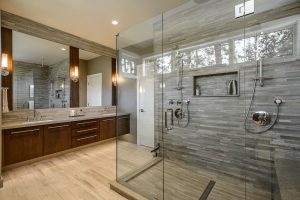 Our frameless glass showers are custom fabricated and installed by our professionals to meet your individual requirements. Mirrors play an important part in any room design. Aside being functional products, mirrors add the proper touch to any room. Bouncing light around the room, adding depth and dimension, a mirror serves as a perfect accent to any space. 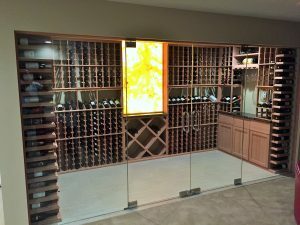 Providing uniquely designed and carefully crafted glass products, Castle Glass can fill any of your custom glass needs throughout the entire home.